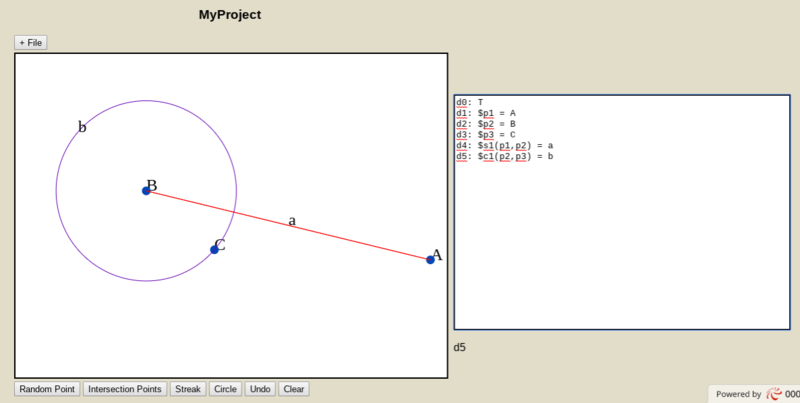 This app was created to assist with writing proofs in Euclidean geometry. It provides an intuitive graph screen along with a text box for your proofs. The proof text can be edited and the graph can be edited, and both affect each other, allowing for the user to intuitively create proofs like Euclid did! Andrew Schwartz, Jason Adams, Andrew Barclay, William Wise, Hendrick McCullar. Dr. Tom Burke. Department of Philosophy. USC.